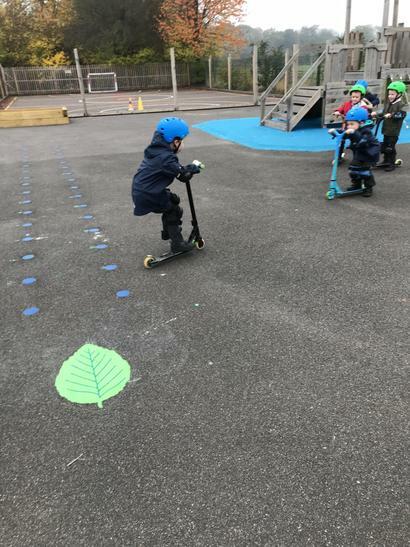 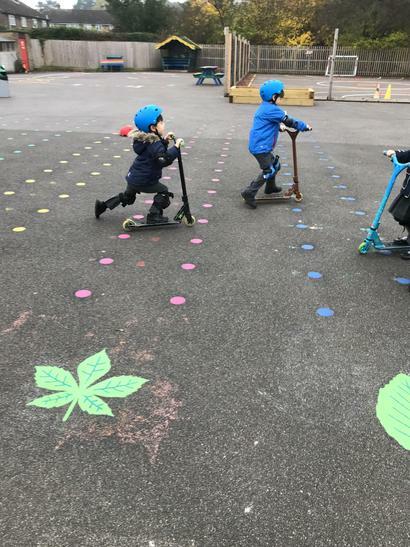 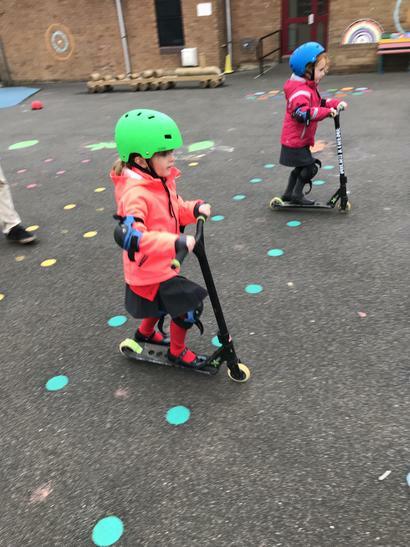 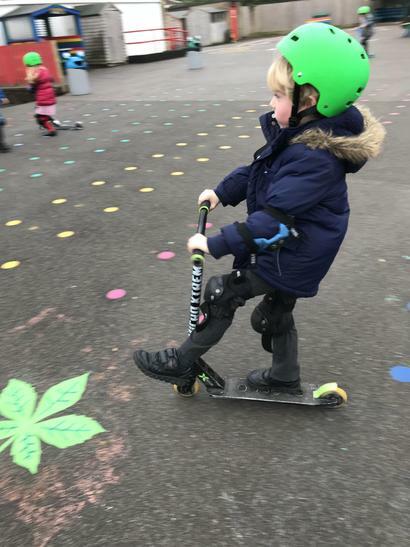 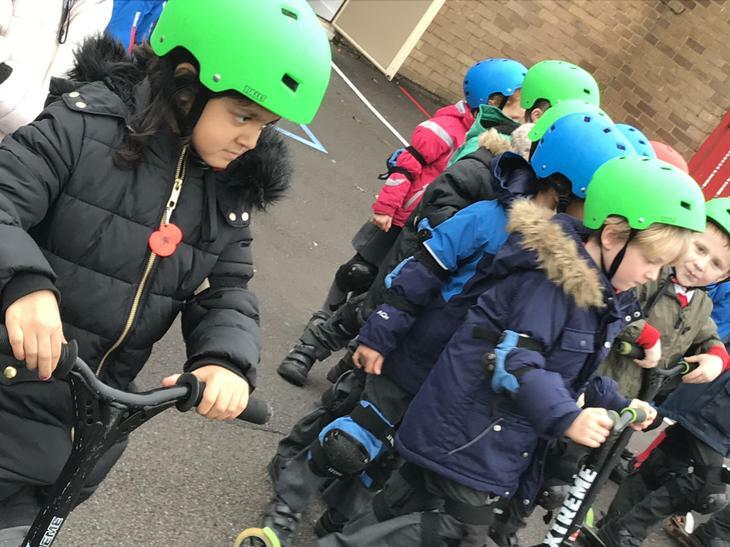 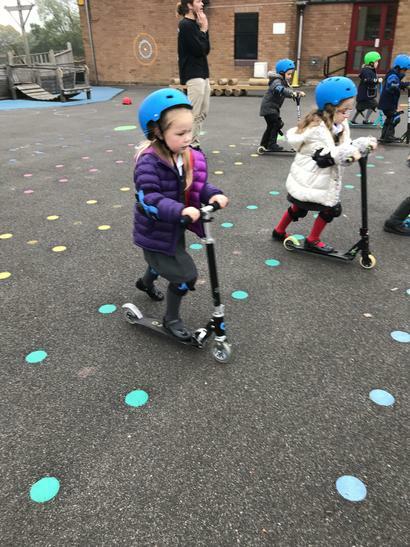 On Tuesday 6th October, Oak Class were so excited as we began our Scooter Training! 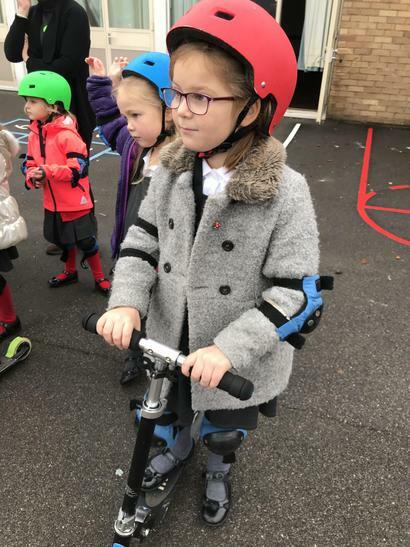 We all put our safety equipment on including a helmet, knee pads and elbow pads. 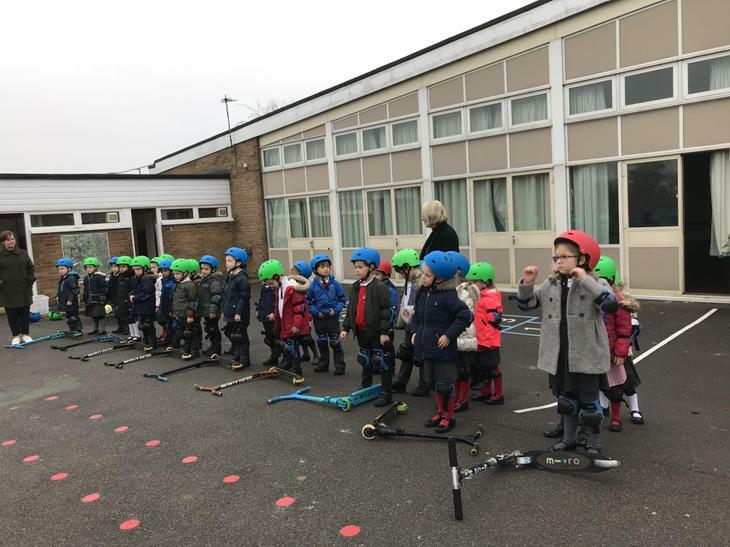 It took rather a long time to get 30 children ready for action! 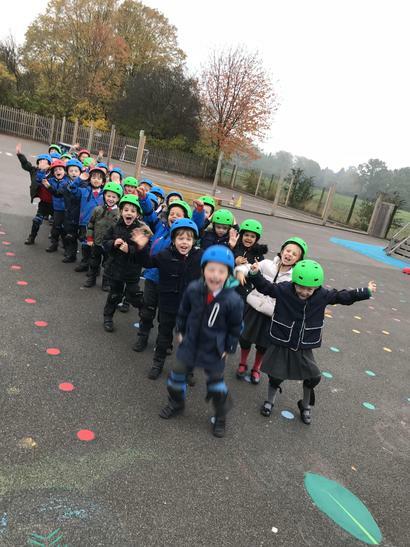 We were taught how to safely cross a 'road' by making sure we were walking. 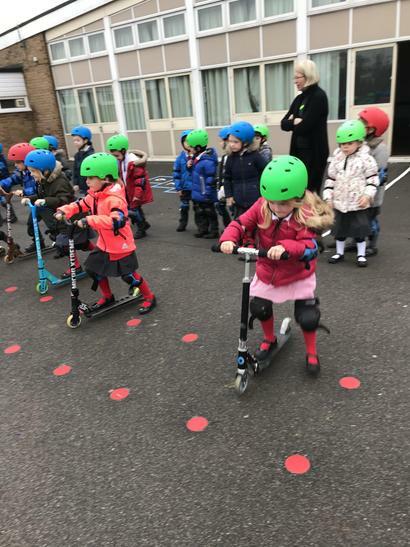 Some of us had only been riding a scooter with three wheels but these ones only had two wheels! 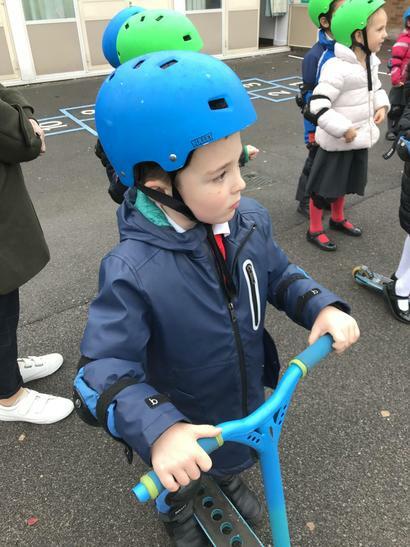 It was tricky for some of us. 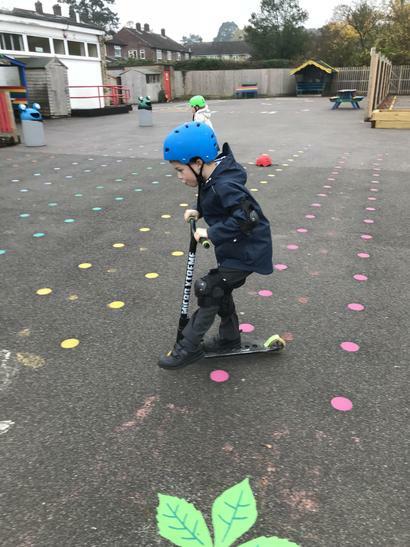 We were then shown how to do some tricks - many children had a go and managed to demonstrate confidence and expertise! We all politely took turns and we loved riding a scooter at school!